M.B.A. in corporate finance, University of Dallas. Emphasis in treasury operations, mergers and acquisitions, forecasting and planning, arbitrage pricing models for risk assessment. B.A. in chemistry, Our Lady of the Lake University, San Antonio, TX. 2000 to present - Commercial insurance consulting, including underwriting for commercial liability and professional liability; and expert witness services nationwide. 1996 to present - Associate and independent consultant for matters pertaining to risk management, insurance and insurance litigation support. 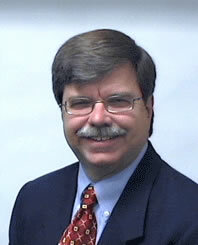 1998 to 2000 - Assistant Vice-President and Product Manager for umbrella, excess casualty and professional lines for the National Support Center. Responsibilities included field office audits, audit and underwiting standards, oversight and product development for umbrella, excess and professional lines of insurance. 1997 to 2000 - Assistant Vice-President for TIG (Bermuda) Ltd. Formed and implemented first liability offshore captive based risk transfer for TIG excess casualty accounts countrywide. Completed legal and administrative start-up processes and profitably placed business through the new captive market through controlled access for TIG accounts worldwide. 1994 to 1998 - Underwriting Manager for production of umbrella and excess liability lines for the National Support Center. Clients targeted within the Fortune 2000 companies. Successfully implemented numerous training and development seminars and workshops. Coordinated contract wording and coverage enhancements, treaty reinsurance, capacity utilization, underwriting standards, development and implementation of underwriting authority, audit standards and underwriting audit reviews for offices countrywide. 1993 to 1994 - Executive Underwriter for umbrella and excess liability lines for the Dallas Region. Marketing responsibilities included production from wholesalers, retailers and national brokerage houses primarily in Dallas, Houston and Atlanta. 1992 to 1993 - Regional Casualty Manager with Commerce and Industry for liability lines on environmentally sensitive accounts. Coordinated casualty coverage with pollution liability exposures. Successfully grew department, gross revenue and profitability as well as developed personnel. 1991 to 1992 - Senior Underwriter for AI Global (American International Underwriters - AIU) for global casualty insurance and risk management programs. Implemented U.S. domestic underwriting operations for global accounts. 1989 to 1991 - Vice-president and Branch Manager for reinsurance and structured settlement annuity operations. Introduced alternative risk and finite risk programs. 1984 to 1989 - Assistant Vice-president and broker for reinsurance products. Spearheaded risk retention and risk purchasing groups. 1981 to 1984 - Account executive dealing with national and multi-national accounts for casualty risk management programs. Established oil and gas underwriting unit for Dallas Region. 1980 to 1981 - Casualty underwriter for a broad range of primary programs. Umbrella specialist and training supervisor for underwriter trainees. 1977 to 1980 - Commercial lines and large account underwriting for both property and casualty accounts. Product liability and Advanced Property Underwriting specialist.